Imagine that the stage is dark and the audience is silent. Bright lights illuminate the stage as the first group lines up in a formation. Ready to fill the auditorium with their brilliant voices, the WHS A Cappella groups bring the school their first concert of the 2018-19 school year on November 26. 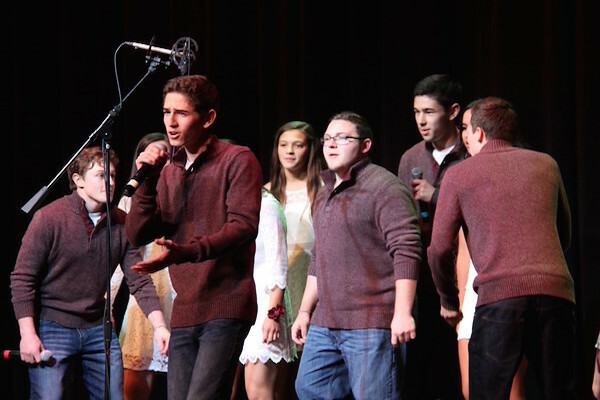 WHS will see all three a cappella groups hit the stage Monday night. The groups include the Muses, Madrigals, and the T-tones. Tickets are free for all. Senior Alexa Calder, a director of the Madrigals, has been in the group for all four years of her high school career. Along with the other directors, Calder will arrange the line up for songs. “It’s always interesting to see how the year will go depending on arrangements and different styles the directors choose,” Calder said. The Madrigals, WHS’ coed group, will perform “What I’m doing here” by Lake Street Dive, “On my way home” by Pentatonix, “Colder weather” by Zac Brown Band and “History” by One Direction. A male vocalist on the Madrigals is junior Josh Ellenbogen. This will be his third year singing with the group. As a returning member, sophomore Lizzie Strehle will be performing along with the Muses for her second year. The talented high school group consists of thirteen girls, ranging from freshman to seniors. “We’ve used practice time to try and do more upbeat, uptempo songs to keep the audience entertained,” Strehle said. Make sure to keep your ears open for songs such as “Breakaway” by Kelly Clarkson, “Would You be so Kind” by Dodie, “Sway” by Danielle Bradbery and “Valley” by Betty Who. Junior Abigail MacDonald is a new member of the Muses. “I did chorus in middle school [and] freshman year, and I took private lessons,” MacDonald said. Senior Clara Hurney, one of the three directors of the Muses, convinced MacDonald to audition. 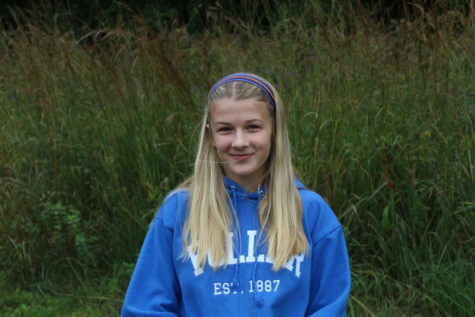 MacDonald had not previously planned on joining due to her athletic commitments. The T-tones, WHS’ all-male group, will also perform. Junior Gavyn Davies, a returning member, will sing for his second year. The T-tones will perform “Unsteady” by X Ambassadors, “The Parting Glass” by The High Kings, “Sing to You” by John Splithoff and “Love Runs out” by OneRepublic. “It’s gonna be great as usual; great music and a ton of fun,” Davies said.